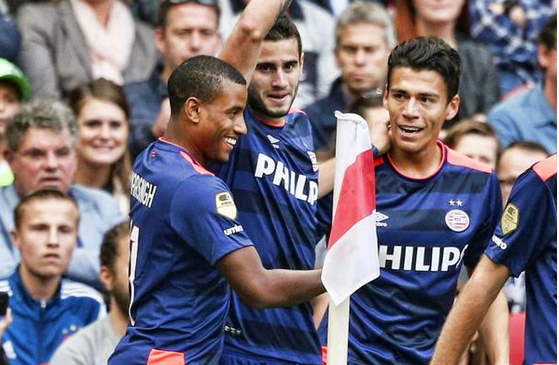 Gastón Pereiro scored a brace to give PSV Eindhoven a big victory on their trip away to fellow Eredivisie giants Ajax. In a game that gave PSV only their second away win of the season and inflicted Ajax’s first defeat of the season, PSV shared the spoils in a thrilling encounter in Amsterdam. The first minute foreshadowed what was to come in this hotly contested derby, with Bazoer of Ajax giving away a free kick in a dangerous position in the opening minute of the game. Nothing came of that chance, however the capacity crowd, a first at The Amsterdam ArenA this season had to wait just 7 minutes for the first goal, which was provided by PSV’s number 7, Gaston Pereiro. He played a tidy one-two on the edge of the area before evading the challenge of three Ajax defenders and firing into the goal at Cillessen’s near post. This lead lasted just 3 minutes however, after Bazoer’s left-footed shot deflected off a block by the PSV defence found its way to Younes, who duly and very coolly converted the chance that was presented to him, curling it in with his right foot, only after he had taken it past one more PSV defender. After 2 goals in the opening 10 minutes, this match had the promise to be a classic. Unfortunately, that wasn’t the case. Both teams seemed more intent on kicking each other than the ball into the goal, an approach that saw the referee blow the whistle 33 times for fouls, producing 7 yellow cards in the process, 3 for Ajax and 4 for PSV. The rest of the half was relatively quiet, with PSV offering most of the threat. PSV remained the better side throughout the second half until Gaston Pereiro, given his first start for PSV in this game, scored again with a left-footed curled shot after being played through and beating his man. With that goal coming in the 79th minute, there was not much time left for Ajax to get an equaliser and the game fizzled out, but not before PSV ensured they held their lead by running the ball into the corner flag. The final whistle saw scenes of jubilation on the pitch and sidelines, with Phillip Cocu clearly delighted that his team has closed the door on their average start to the season, particularly away. 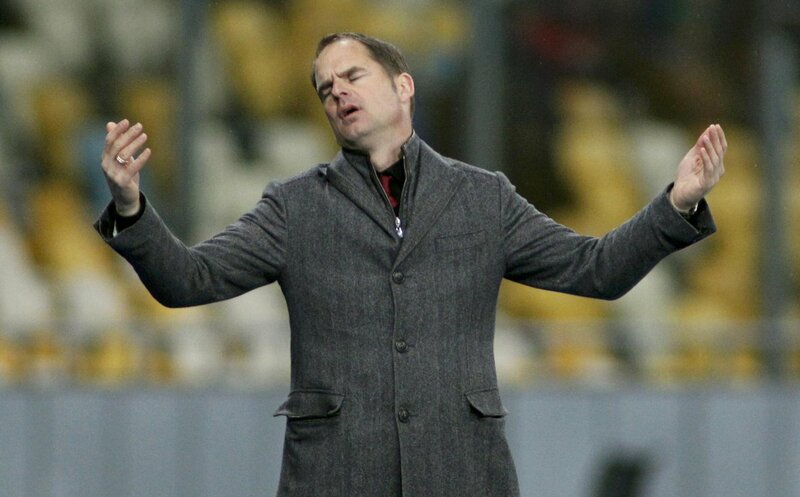 The result sees Ajax remain level on points with fierce rivals Feyenoord, albeit still in 1st place on goal difference. PSV are now on 17 points and in 4th place, with just 1 point separating them and 3rd place Heracles, and 2 points between them and both Ajax and Feyenoord. Before this game, in my preview I wrote “Football is Football and anything can happen, and that is why you and I love it like we do.” Well this afternoon Football was Football and PSV, who many, including myself had written off, took a much-needed 3 points back home to Eindhoven. No other man on that pitch deserves the accolade of man of the match more than Gaston Pereiro today. The 20 year-old responded well to being given his first start for PSV Eindhoven and took both of his goals extremely well, especially in such a high-pressure game.